Running is more than just exercise — it’s a performance. 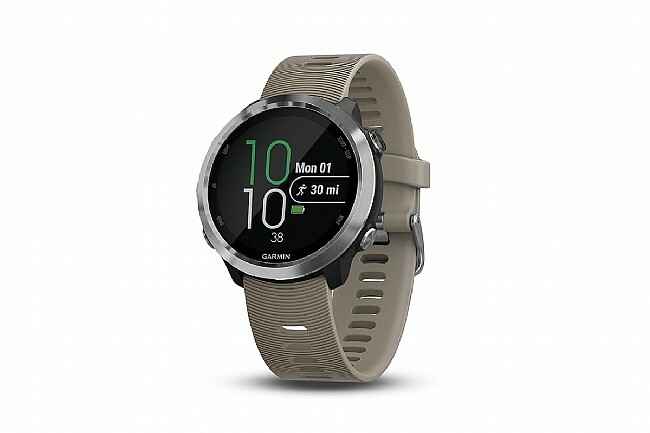 And Garmin's brand new Forerunner 645 has the tools to help you put on an outstanding show every time you lace up your shoes. With a sleek, sophisticated body, the stainless steel bezel and chemically strengthened glass are ready for all-out efforts or a night out on the town. Featuring contactless payments that let you buy what you need while on the go — plus advanced running dynamics and performance monitoring tools — this GPS running watch is the instrument you need to refine your performance. With its wrist-based Elevate™ heart rate monitor, the Forerunner 645 delivers always-on all day heart rate monitoring so you can always keep tabs on how your body is doing. A host of activity tracking features allow you to see how far you've gone, the amount of calories burned, or even track your progress towards your daily goals, as well as a variety of sport-specific features. 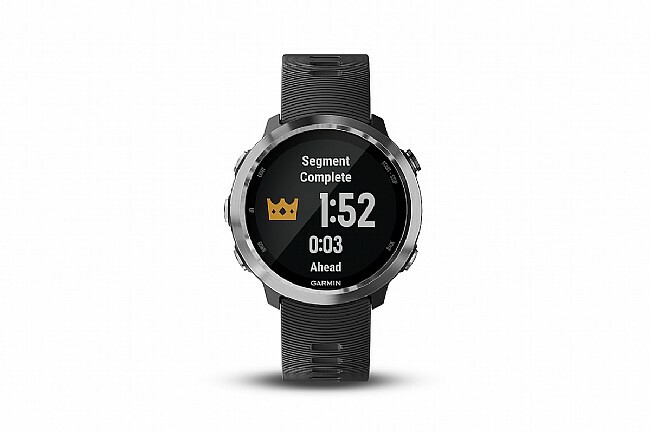 Afterwards, the Forerunner 645 will even automatically evaluate your recent exercise history to let you know if you're training productively, peaking, or overreaching. Plan and train accordingly with this fully-featured Smartwatch. Fully-featured activity tracking watch with GPS and GLONASS is waterproof to 5 atmospheres. Bluetooth®, ANT+®, and Wi-Fi enabled watch features smart notifications and Smartphone connectivity. Garmin Pay makes refueling on a run easier than ever, allowing for contactless payment. Wrist-based Garmin Elevate™ heart rate monitor gives all-day heart rate monitoring. Built-in sport modes with support for Running, Cycling, Pool Swimming, Rowing, Elliptical, Cardio, and more. 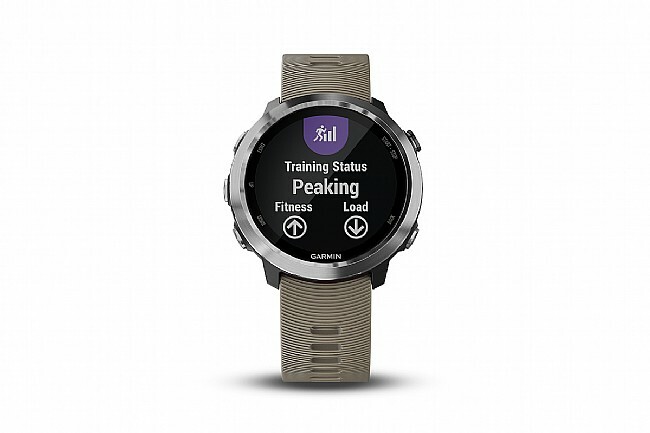 Garmin Connect IQ™ offers free watch faces, apps, and more for customization. Battery life: Up to 14 hours in GPS mode, up to 7 days in Smartwatch mode.